Ancestry: Frederick Dimmock, Capt. ; David Dimmick; David Dimmick; Theophilus Dimmick; John G. Dimmick; Shubael Dimmick; Thomas Dimmick. Born: June 28, 1834 in Sandwich Ma. 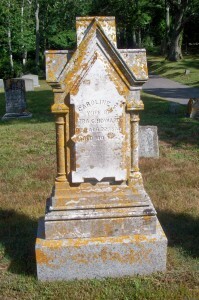 Died: August 22, 1874 in Sandwich Ma. at 40 yrs, 2 mos. To: Ezra Coleman Howard; (1831 – 1885) (Calvin Howard & Hannah Handy); Ezra married (2) Rhoda Ann (Dimmick) Burgess (1830 – 1907) (Frederick Dimmock, Capt. & Maryann N. Lawrence) in Sandwich Ma. on June 25, 1876; Rhoda married (1) Henry Burgess (1829 – ?) (William Burgess & Mary (–)) in Sandwich Ma. on March 3, 1853. 1. 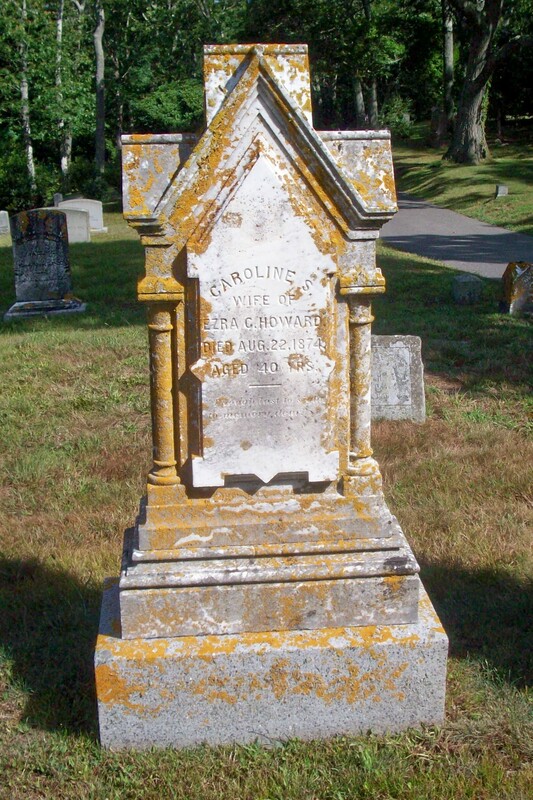 Emma Caroline Howard Hartford; (December 18, 1860 – March 16, 1950); Married Nathan Bourne Ellis Hartford (1861 – 1948) (Charles Franklin Hartford & Hannah Bourne Ellis) in Sandwich Ma. 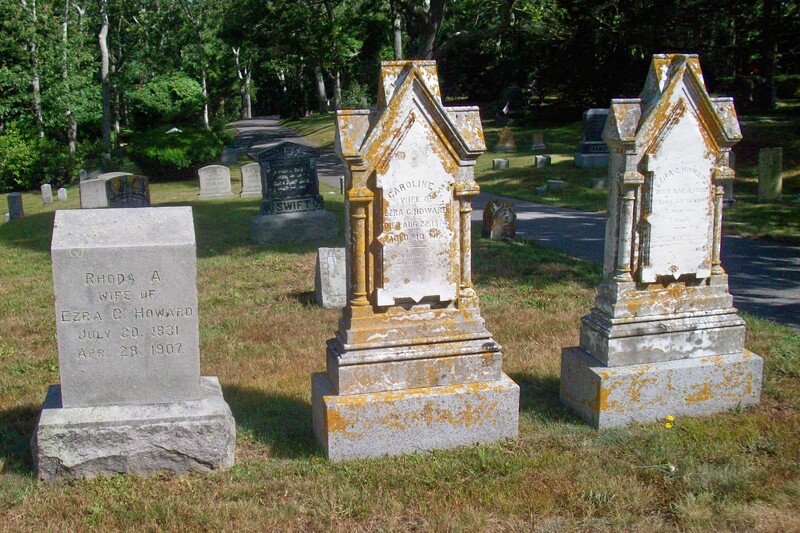 on January 1, 1884; Emma & Nathan are buried in Sagamore Cemetery. 2. Mary Hannah Howard Kaven; (March 3, 1869 – September 18, 1950); Married Gustavus Adolphus Kaven (1865 – 1959) (George Kaven & Wilhemine Moeller) in Watertown Ma. on April 4, 1900; Mary & Gustavus are buried in Cataumet Cemetery.